"The Natural State" is state with diverse geographical ranges. 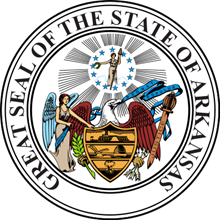 Arkansas is the 29th most extensive and 32nd most populous of the United States. With population around 3 million people with 2/3 living in Little Rock and Little Rock Metropolitan area. Capital and largest city in the state is Little Rock and Arkansas maintains an average position in the midland auto transport. 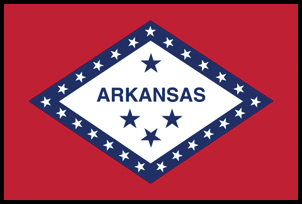 Arkansas is divided in two sections: the highlands and the lowlands. In the highlands are part of the Southern Interior Highlands, including The Ozarks and the Ouachita Mountains. The climate in those dual split parts is very different from one another. In highlands the temperature range is strongly defined and In lowlands the climate in the summer is more mild and humid and the winter is a bit chilly and drier than other states. The weather forecast in the whole state is largely affected by the large amount of rivers and lakes located within the state. Being an inland state, Arkansas routes are uphold by the Arkansas State Highway and Transportation Department (AHTD), which main office is placed in Little Rock. One of the busiest corridors pass through the state including I-30, I-40 and I-55. I-33 runs through Little Rock and the near metro area, which provides tremendous amount of ways for transporting autos in and out of the state. The north part is served by I-40 one of the busiest highways and I-55 connects Memphis and Missouri which are key places for big range of people. Arkansas and Mississippi rivers are beneficial for the state's rivers dealing. Arkansas crossroad position attract a lot of people to live and work there. State's poor financial history is no longer presence, Arkansas's economy has evolved and diversified to meet the needs of today's consumer. The U.S. #1 retailer Walmart is based there and the leader export branches are food processing, electric equipment, metal products, paper products and machinery. According to recent research Arkansas is the state with one of the best economic climate and friendly environment. With state's unemployment rate under 7% Arkansas is tend to be the most affordable state to reside, at which aspect a lot of people choose this state for their new place to live. 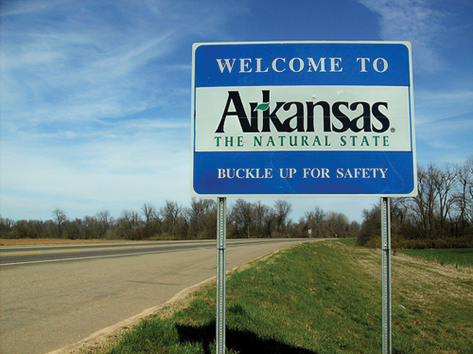 VAN 3 Auto Transport offers one of THE BEST EXPIRIENCES you can get for your auto shipping to Arkansas. Our experienced drivers will make sure that your auto arrives fast and safe at the desired destination. Get your Free Quote now or call our 24/7 Hot Line: (708) 357-8698 ask our friendly agents any question related with your auto transportation. We look forward to making your next move your best move!